Provide comfort for the family of Joanne O'Shea with a meaningful gesture of sympathy. Joanne Sowsian O’Shea, 62, of Delaware Township, NJ, died on Sunday, January 20, 2019, at her home, surrounded by her loving family. Born in Raritan Township, NJ, Joanne grew up in East Amwell Township on her family’s farm. She was the daughter of the late Joseph and Bernice Cortina Sowsian. Joanne was a graduate of Hunterdon Central High School. With her husband Barry, she lived in Lambertville prior to moving to Delaware Township 4 years ago. Joanne was a waitress at Bell’s Tavern for over 30 years where her smile and sense of humor were a warm welcome to all. Earlier she worked at the Stage Depot where she met her husband. Joanne developed a fresh flower business, selling her bouquets to local farmers’ markets. 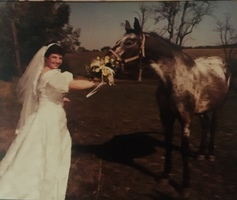 Joanne had a deep love and passion for horses. She was a true animal lover at heart. Family, friends and neighbors were always welcome in her home for homemade cooking, conversation and a funny story to hear. Joanne was devoted to her family. She was the beloved wife of Barry O’Shea for 35 years, the devoted mother of Kevin O’Shea and his partner Courtney Utman of Lambertville, Kathleen O’Shea of Delaware Township and Holly O’Shea of Delaware Township, the loving grandmother of James O’Shea of Lambertville, the dear sister of Deborah Ferrante and her husband John of Raritan Township, Karen Sowsian of Raritan Township, Janet Mayers and her husband Pat of Trenton and John Sowsian and his wife Cathy of Hopewell and the aunt of many nieces and nephews. There will be calling hours on Friday, January 25, from 9 am until 12 noon with a service of remembrance at 11:30 am at the Van Horn-McDonough Funeral Home, 21 York Street, Lambertville, NJ 08530 (vhmfh.com). Interment will follow at Harbourton Cemetery, Harbourton, NJ. Donations in Joanne’s memory may be made to the Hunterdon Hospice, 2100 Wescott Drive, Flemington, NJ 08822 or to the Amwell Valley Rescue Squad, 1141 Old York Rd., PO Box 147, Ringoes, NJ 08551. To send flowers in memory of Joanne O'Shea (Sowsian), please visit our Heartfelt Sympathies Store. Additional parking will be available at St. John's Church parking lot at 44 Bridge Street, Lambertville, NJ. This is a two block walk from the funeral home. 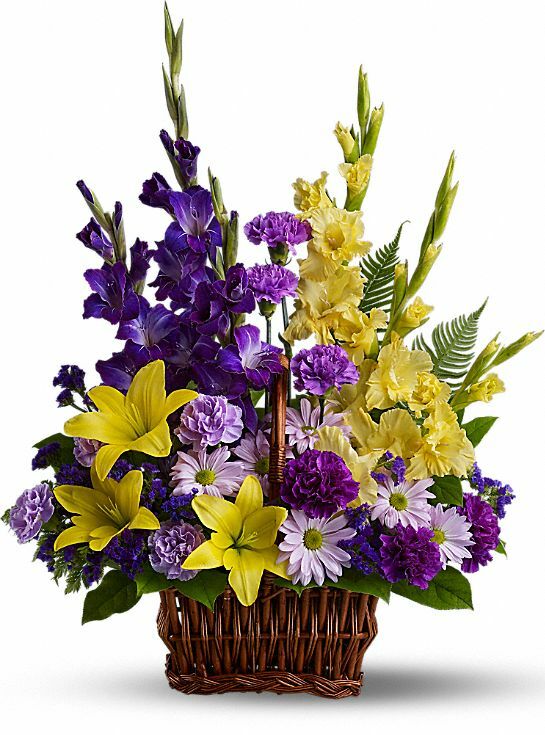 Jake and Anna Rzuczek and The ToChell family and Barbara & Nancy have sent flowers to the family of Joanne O'Shea (Sowsian). Our condolences to the family during this difficult time. May God give you all the strength, comfort and peace you need as we all wait on better days ahead (Revelation 21:3,4). Heartfelt Sympathies Store purchased the Bright and Beautiful Spray for the family of Joanne O'Shea. "Joanne O'Shea" will remain in our hearts forever. Jake and Anna Rzuczek purchased flowers for the family of Joanne O'Shea.